The SWFKAA Inshore Kayak Classic is expecting double last year’s tournament attendance. Kayak fisherman from as far as California will descend upon Southwest Florida, hoping to snag the longest inshore slam: redfish, snook, and trout. Check out the full tournament details in the press release below. 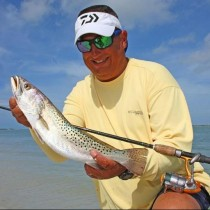 The Southwest Florida Kayak Angler’s Association announces dates of the 2nd Annual Inshore Kayak Classic. -Anglers from all over the country already signing up. Anglers will compete for cash and prizes, including a brand new Hobie “Mirage Outback” provided by Estero River Outfitters. The weigh in is being held at Lansdowne Street Pub in Bonita Springs. There will be great food provided by the staff, as well as live music by the Michael King Band. The event will also include a raffle and silent auction. All proceeds will benefit Josh Stuller, whose family owns Estero River Outfitters. On December 3, 2004 Josh was involved in a motorcycle accident that left him paralyzed with severe neck and spinal cord injuries. Josh was 18 and an avid angler, fishing every square inch of water from Suthwest Florida to the Keys. Nine years later, Josh remains paralyzed and suffers from constant pain. Yet he continues to help run the family business, which is the headline sponsor for this year’s event. For more information and a complete list of rules, visit www.swfkaa.com.